After breakfast We leave for a sightseeing tour of Old and New Delhi. We visit Jama Masjid, this immense mosque is both the largest in India and the final architectural extravagance of Shah Jahan with a courtyard capable of holding 25,000 devotees, Later we drive past Red Fort citadel. & visit Raj Ghat, a memorial to Mahatma Gandhi is a simple black marble platform that marks the spot of his cremation on 31 January, 1948. Two museums dedicated to Gandhi are located near by. In New Delhi we visit the 11th century Qutab Minar Tower, built by Qutub-ud-din Aibek of the Slave Dynasty, who took possession of Delhi in 1206. It is a red sandstone tower, standing tall at a height of 72.5 metres and is covered with intricate carvings and verses from the holy Qur'an. The India Gate, a memorial raised in honour of the Indian soldiers martyred during the Afghan war and drive past the grand government buildings the President’s House and Parliament House all dating back to the time of British Raj. 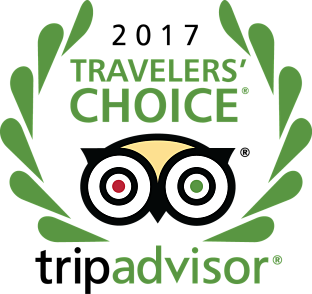 After breakfast we visit of Amber Fort – (ascend the imposing fort on a decorated painted elephant) .is located in Amber (Jaipur), which used to be the capital of the Kachhwaha clan, till Jaipur was made the official capital in 1727. 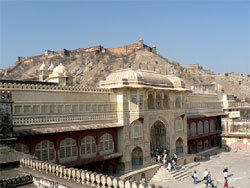 The Amber Fort looks stunning, all-built in white marble and red sandstone. Hawa Mahal - built in 1799 by Maharaja Sawai Pratap Singh. Hawa Mahal is the most stunning sight in the city of Jaipur. In the afternoon leave for excursions in the park. 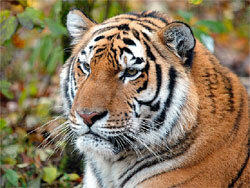 You are likely to see Nilgai (blue bull), barking deer and sloth bear and perhaps the very elusive Bengal tiger. Overnight stay at the hotel. 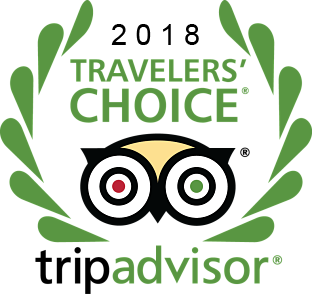 After Breakfast we leave to explore the monumental heritage of the Great Mughals, including the magnificent Taj Mahal (Closed on Fridays), a Unesco World Heritage Site is one of the Seven Wonders of the World and surely the most extravagant expression of love ever created. 20,000 men laboured for over 17 years to build this memorial to Shah Jahan's beloved wife. 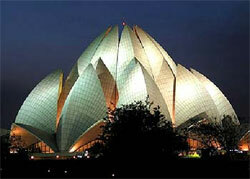 It's a wealth of white marble and semi-precious stone – « undoubtedly the highlight of the tour ». 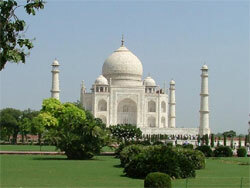 Enjoy shopping in Agra is known for its fabulous handicrafts, made of marble and softstone inlay work. The Mughals were great patrons of arts and crafts. Empress Nur Jahan took personal interest and was an accomplished artist herself in zari embroidery work. 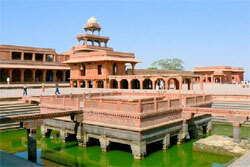 Agra's major handicraft products besides inlay work are: leatherware, brassware, carpets, jewellery and embroidery work. Overnight stay at the hotel.